Located 100m from Southside Lodge, Creekside House has it all: a two minute walk to the lake, the gondola, the grocery store and the bar. The house has two three-bedroom units. 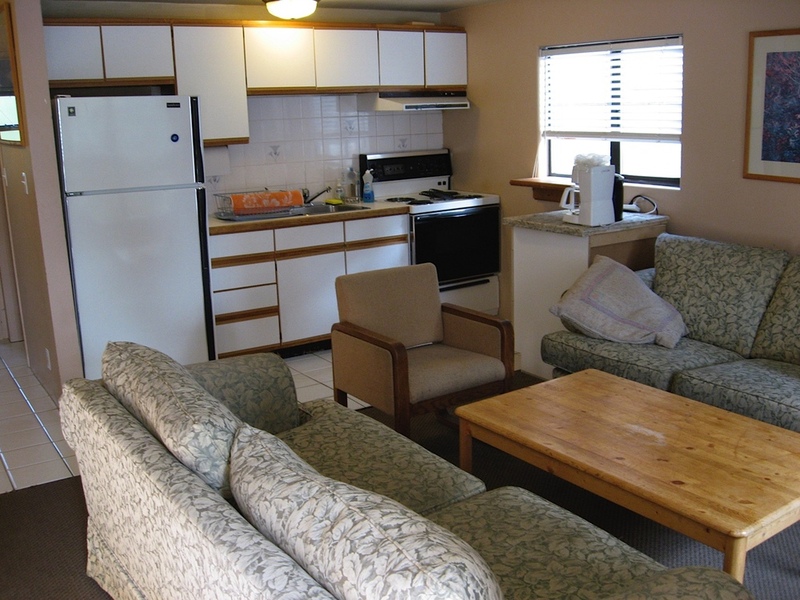 The units are completely furnished and the monthly rent includes heat, hydro, telephone, cable TV, Internet, CD player, microwave, full kitchen and bedding. All you need to bring is your gear. The bedrooms sleep between 1 and 4 people each. The Condos and Suites can be booked on an individual or group bases. The condos and suites are generally designed for singles, private groups or couples who want a private bedroom but don’t mind sharing kitchen, bathroom and living area. The Suites and Condos sell out very quickly for the winter season.